Harley-Davidson, Inc. (NYSE: HOG) reported its fourth quarter financial results before market open on Tuesday and missed analysts’ earnings estimates. Shares plummeted by 9% during Tuesday’s pre-market hour. 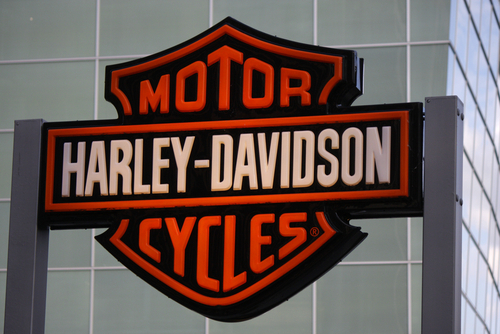 For the fourth quarter, Harley-Davidson reported adjusted earnings of USD 17 cents on revenue of USD 1.15 Billion. Refinitiv analysts expected earnings of USD 28 cents on revenue of USD 1.05 Billion. Harley-Davidson said its motorcycles and related products segment revenue grew by 1.1% year over year in the full year, adding a total of 52,000 new riders in the U.S. The motorcycle company said that it saw stronger sales internationally as the market emerged overseas. However, full-year sales still fell by 6.1% compared to 2017. U.S. retail sales fell 10.2% for 2018 compared to 2017. Harley-Davidson says there is ongoing declines in the U.S. motorcycle industry. Through 2022, Harley-Davidson now aims to bolster its financials. The Company intends to launch new products to keep riders engaged as well as inspire a new generation of riders. The Company has also met with customers in order to discuss the retail experience itself. Despite Harley-Davidson’s initiative, there is still concern among investors that incoming generations or even baby boomers won’t make up much of its customer base, according to CNBC. If the newer generations do purchase a motorcycle, it’s more for the lifestyle and culture of riding. Regardless, Harley-Davidson is still moving forward with its aggressive plan to add 2 million new riders within the next decade. The Company is planning on launching riding schools, release 100 new motorcycles by 2027, and increase volume internationally by 50%. I’m gonna go on the record here and say If $hog goes out of business because of trumps tariffs I will never forgive him. Also there’s no way they do well with electric motorcycles it goes against every cool thing about Harley’s.